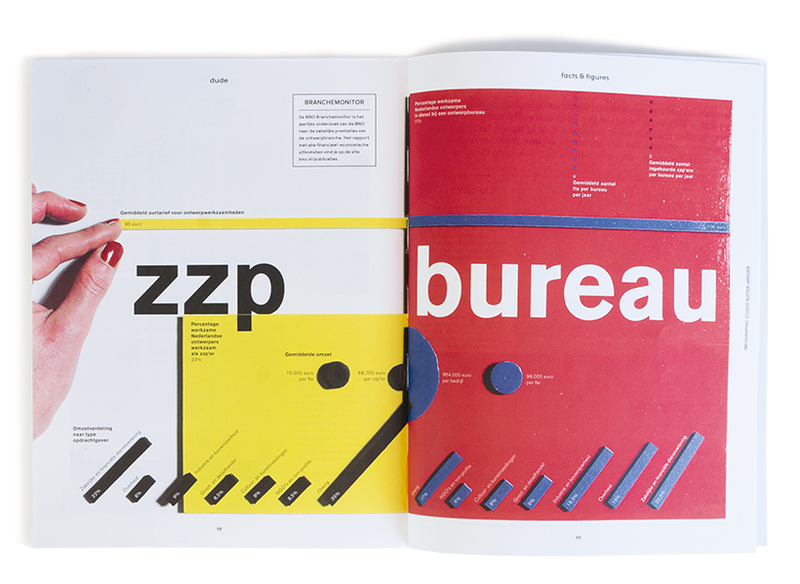 The ‘BNO Branchemonitor’ is the annual research of the BNO (Association of Dutch Designers) about the business performance of the Dutch design industry. BNO asked Studio Ruiter Janssen to make an infographic based on this report. Since the industry is more and more changing into a market of ‘zzp-ers’, we decided to translate the differences between working as a freelancer and working for a design agency into an architectonical landscape.